Sony has released the first episode in a series of trailers designed to show off some of the colourful and crazy weapons featured in Ratchet And Clank: All 4 One. 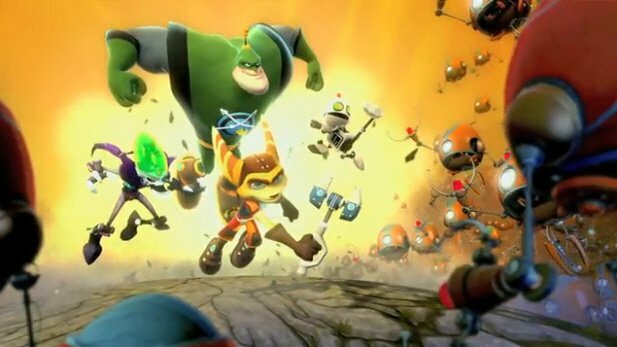 Insomniac is known for its bizarre ideas for gadgets and guns in the Ratchet And Clank games, and I doubt they will disappointment us when the game hits shelves in October. Some think the series has lost some of its charm and magic over the past few years, but Insomniac are looking to shake up the formula a bit by experimenting with 4 player co-op and all the amusing mechanics it has. Co-op is potentially the smart genre to invest in anyways and I think the decision to go down this road will work out for the developers. Check out the trailer below let us know what you think. Childish? Quirky-cool? Ridiculous? You can’t say they aren’t trying, right?